Exporter of a wide range of products which include melamine chopsticks, wooden chopsticks, acrylic chopsticks, plastic chopsticks, vintage drink stirrers and handmade chopsticks. We are a noteworthy exporter, wholesaler, distributor and supplier of Melamine Chopsticks. 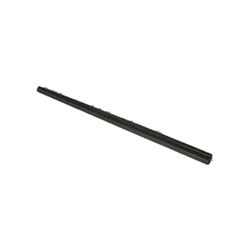 These chopsticks are manufactured by using silver, acrylic, and wood that is procured from the certified vendor of the market in compliance with set industry norms with the help of the latest technology to meet the defined international quality standards. 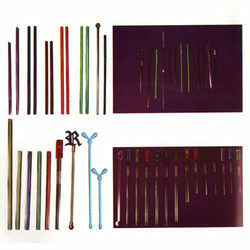 These chopsticks are available in different sizes, shapes, and specifications as per the needs of clients'. 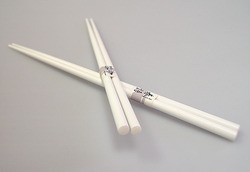 Our renowned clients can avail these chopsticks at pocket-friendly prices. We are a coveted organization that is involved in wholesaling, supplying and exporting a vast range of Wooden Chopsticks. 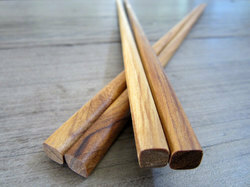 The offered chopsticks are manufactured using high-quality wood following industry standards & norms. Post-procurement, these chopsticks are inspected on certain parameters in order to rule out every possibility of defect. Our domain expertise has enabled us to come up with an excellent collection of Acrylic Chopsticks. We source the offered range from most trusted and reliable vendors of the market with the aid of our procuring agents. 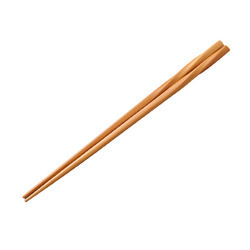 To cater to the diverse requirements of respectable customers, we offer these chopsticks in various different colors and sizes. Ours is an illustrious organization that is engaged in wholesaling, supplying and exporting a broad spectrum of Plastic Chopsticks. To manufacture the offered product-line, our vendors make use of excellent quality plastic. 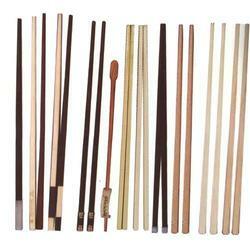 These chopsticks are made available by us in different sizes, shapes, and specifications at market leading prices. We are offering Vintage Drink Stirrers to our clients. Application Hotel, Restaurant , etc. We are offering Handmade Chopsticks to our clients.